Angie Mak is a passionate, talented and versatile artist. She was born in Hong Kong and moved to San Francisco, USA at the age of ten. Even though she was brought up and educated in the United States, she embraces her Chinese culture and acquires her honor degree in Teaching and Chinese. Angie’s passions in performing never diminish. She won the Singing contest award in high school, and took part in many musical events. In 2005 she returned to Hong Kong in pursuit of her career in the entertainment industry. She participated in Miss Hong Kong Pageant 2005 and with her talent and charisma she showed on stage, she was offered with an artist contract by TVB immediately after the contest. In recent years, her outstanding performance, fluency in Cantonese, English and Mandarin has gained her numerous opportunities in emceeing for different kinds of events. 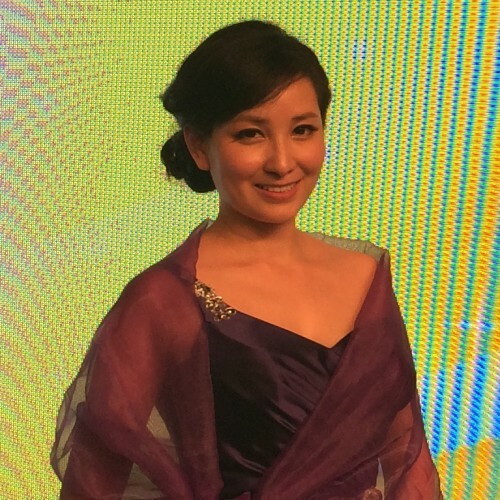 She is now appearing in various TVB programs such as “Scoop” on TVB Jade, and “Money Smart” on HD-TVB. Other than being a professional MC, she is also dubbing many episodes for TVB and occasionally acts as a guest DJ in Metro Radio 997. Angie will continue developing her specialty in MC and hosting business as well as singing and performing in TV.